Fans of the Girl Genius webcomic will recognize that first cover’s art as being done by Phil Foglio. 1: Why are you making me think of Toy Story? STOP SULLYING THE NAME OF TOY STORY!!! 2: The expression that says she’s just about to offer some very unconvincing excuses. 3: Well, there’s no call for that kind of language. #1 It’s two eyes, three breasts – even Arnie knows that. #2 Tiny hands – must be Ivanka after the exile. #3 What a stirring location for romance – Dutch porta-potties. 1. Nope. Phil Foglio. Full wrap around. Nice rollover texts for these three. What? Hey, someone had to. 2.) A Princess of Bars, more like. 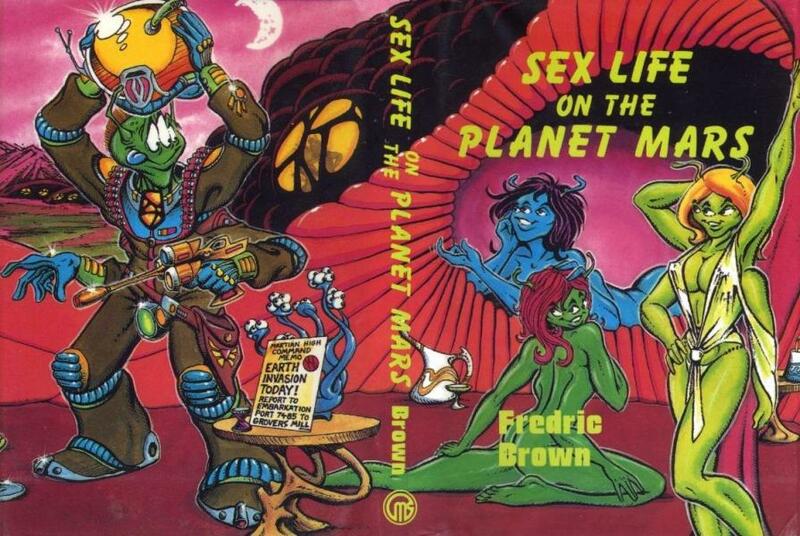 Addendum: I’d like to note that Barsoom is just one letter away from barroom. 3. Someone mis-heard ‘Barsoom’ as ‘bathroom’. 2. Dejah Thoris *does not* have purple hair! 3. 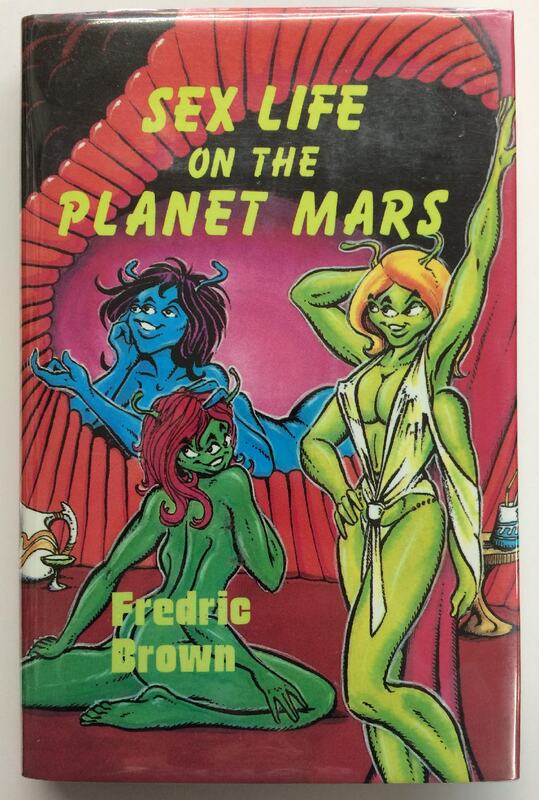 It looks to me like there are *two* Mars hos on that cover…. 1. looking at the full cover, I see the “Cute/hot Monster Girl” trope is in play. 2. A transcript of ER Burroughs’ Sims game. 3. a. Is it possible the writer didn’t recognize the double entendre? @Francis Boyle: that sort of anti-trinocular, anti-hexapedal prejudice just leads to Wars of the Worlds. Nothing says “romance” like being cooped up in a cramped, smelly Martian trailer home for years, literally MILLIONS of miles from a bathtub, sharing every fart and bad breath with your smelly, half-crazed bunkmates. What exactly is the benefit of three eyes, unless the third one is in the back of your head? 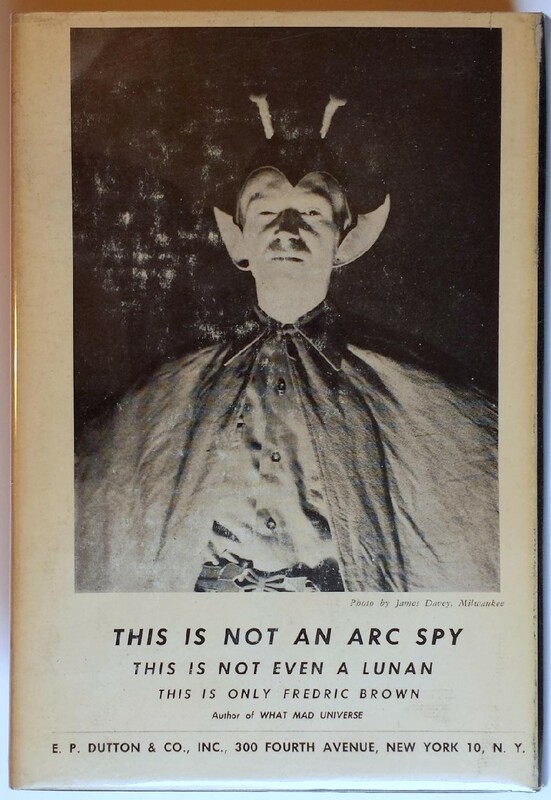 #1: written by Brown and cover by Foglio, the chances of it NOT being a spoof are slim and none. The three eyes disturb me more than the extra arms. #2: I thought Dejah had coal-black hair? She’s almost canonically naked, though. I think they missed the apostrophe at the end of Mars. @AS: Yes, but in these futuristic liberated days, which one is the ho? Or should it have been plural?